Public Parking lots available at Allston Garage (on Allston Way) or Kittredge Parking Lot (on Kittredge Avenue). Street parking also available. ZINO is located within the majestic Hotel Shattuck Plaza. When it comes to social and business events in Berkeley, the Hotel Shattuck Plaza has a rich history of bringing people together. Reinvented and renovated, our boutique hotel offers 8,000 square feet of state-of-the-art meeting and banquet space with audio-visual support and an experienced catering team that transforms imagination into success. Contact us at 510-225-6026. Planning an event? 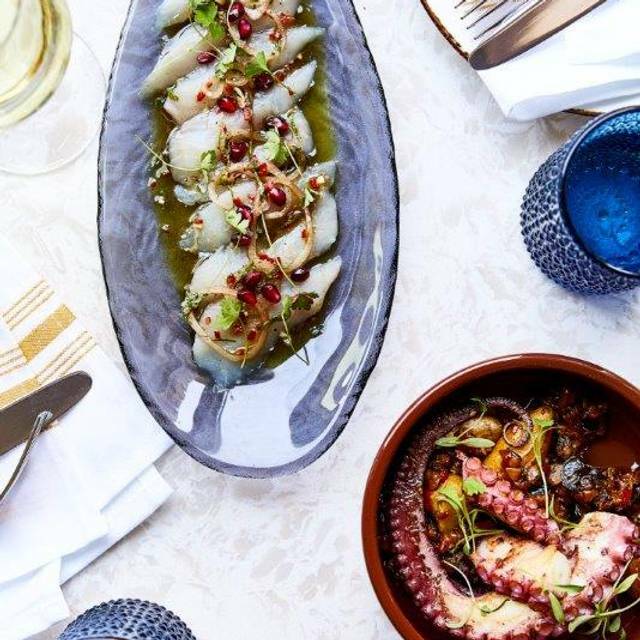 ZINO is available for group dining, offering partial and full buyouts of the restaurant, as well as, private rooms located inside the Hotel Shattuck Plaza. 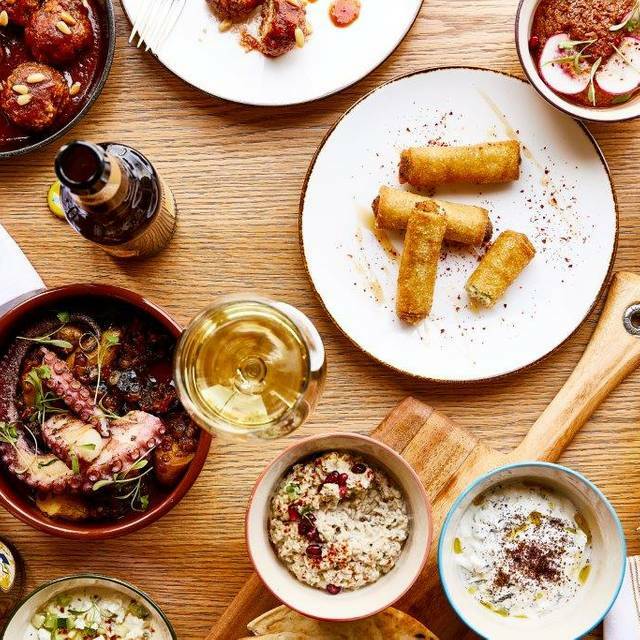 A Modern Mediterranean Restaurant and Bar located in the heart of Downtown Berkeley. 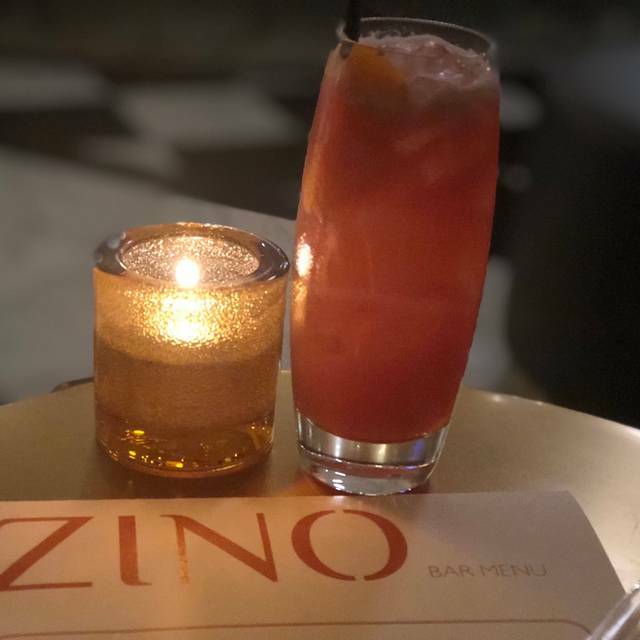 Helmed by Executive Chef Brandon Hicks, ZINO features a rotating menu of cuisines, complemented by a modern cocktail program infused with Mediterranean flavors and spices. 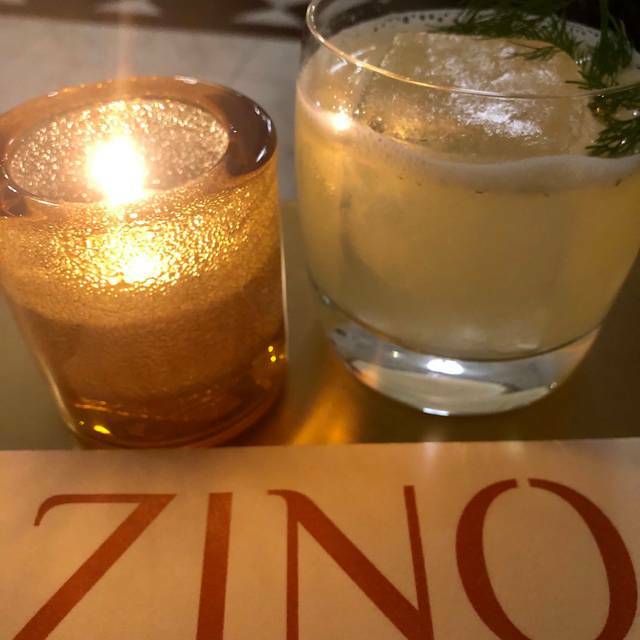 ZINO is a gathering place for people of the community to socialize, celebrate, and share in the unique flavors of one of the most diverse regions of the world. 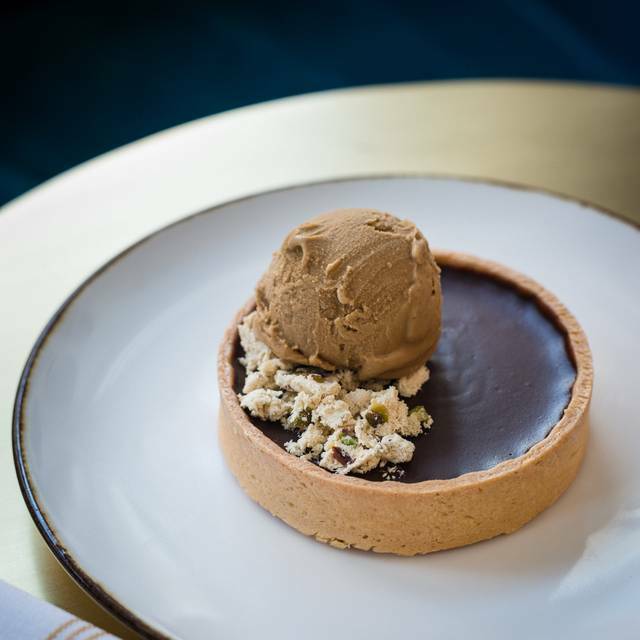 For Parties of 9 or more, please contact the restaurant directly. I was terribly disappointed that only brunch foods were offered on Easter Sunday. My hunger for lamb, however, was satisfied somewhat with the ground lamb in the hummus. Very pleasant overall experience. The food was really nice, the wait staff was good. Of special note was the dessert with baked goat cheese with a pastry crust, I've never had anything like it! It's a nice space, the tables have enough space around them that we never felt crowded by other diners. Zino never fails to please. The ambience of the restaurant is lovely and restful, the noise levels are moderate to quiet, and the food is always a winner. We had the duck tagine and the duck risotto -- both were extremely tasty and enjoyable. Great place for before a Berkeley Rep performance. It's a really nice, mellow place, you can really have a conservation with someone and it's beautifully decorated. Our waiter was very kind and attentive and their wine and beer list is of good quality, even though not extensive. The food is just so so. We had a very good salad and the grilled octopus was good. The Duck Risotto was NOT very good, and the broccoli dish probably would have been fine but was a little over-salted. I also ordered one of their signature cocktails and it was OK, but I have had better. I can't comment on anything else. But would I go back? Yes. Hopefully they will keep working on the food. This was my second visit. I live in San Francisco and attend Zellerbach frequently for performances this is now the restaurant that I go to and recommend to everyone. Great food, nice selection, and wonderful, helpful, courteous service. A great choice for any occasion. Yes, I would recommend it to a friend. The staff was friendly and welcoming. We had a good waiter who had been part of the former restaurant. The Greyhounds were wonderful. We had a great wine and the cod was superb. The butterscotch pudding was the perfect ending. Very limited menu: only six entrees, and they were out of one. My choices (cheese cigars, side order of green beans, and burrata) were very tasty, but the other three people were disappointed in their meals. We went because this is very close to Berkeley Rep, but we will not return. The venue is a little echoey . We had a great meal! The food was very good, but the portion size for the duck tagine was on the small side for the price. I don't need or expect a huge entree, but the amounts of duck, couscous, and brussels sprouts were all relatively small. The pita bread was excellent. Good sevice. Got us out in time for theater at Berkeley rep. The food is excellent. They have many vegetarian and vegan options that are not just dishes with the meat removed. Something for everyone. We brought friends this time and the food was good, but not as good as we’ve had in the past. The falafels were very dry & not to the liking of 3 people. We very much enjoyed the food and knowledgeable staff, who did a great job describing the dishes. We shared many small plates and especially loved the octopus appetizer-yum!! We enjoyed our brunch but the salad was very small for the price (the one with chips in it). Hamburger was good and also the eggs benedict. Will probably return before Berkeley Playhouse. We go here when we have a play at Berkeley Rep. The wait staff is all wonderful, the food is great. It's just a fine place to eat. Ambience is casual, quiet. Food was really good and the service attentive. Plan to return soon. The entree was served before the soup, and they did bring the soup, but by the time I finished it, the entree was cold. My companion ordered a side vegetable and bread, and they completely forgot about it until after she finished her entree. They brought both vegetable and bread later and did not charge me for them since they arrived late. The food tasted very good, however, but I wish there were more items on the menu, and fewer offerings with duck and more chicken. Finally, the staff brought a birthday dessert for my companion but did not sing happy birthday, which was much appreciated since she hates being sung to at restaurants. The dessert was delicious. The staff was very friendly and courteous, but they need to work on their organization and timing of the food presentation. Very mediocre food which sounded good on paper -- although the vegetable sides were tasty. Very uneven service - at times warm and solicitous, at other times no one to be found; very slow kitchen. Big, open noisy space that they tried to make cosy, but it just doesn't work. The service and food were just right. The menu is intriguing and prepared well. We will definitely return if in the area again. Food was very good and a good value. The kitchen was very slow on everything. After three visits to Zino's, I am still unimpressed by what I consider rabbit food: lots of parsley, onions, lettuce, but not much to inspire a meat eater. My female companions though the salads O.K. I tried the chicken kebab again, with the same disappointing results: three small nuggets of over-cooked chicken, French fries (good), peta bread, tons of parsley, and not much of anything else. I tried the so-called minestrone which is lacking in taste. A bowl of hot water, two pieces of macaroni, a few pieces of veggies. I couldn't eat the "minestrone," and sent it back to the kitchen. Women seem to like Zino's evidences by the presence of mostly older women. BRING BACK CAFE 5! The restaurant was very, very, very Okay. The food had no taste. terrible service two visits in a row. from the time we sat down until our drinks came was 25 minutes; until our food came, 55 minutes. this time the excuse was hilarious: "we get really busy during dinner time." 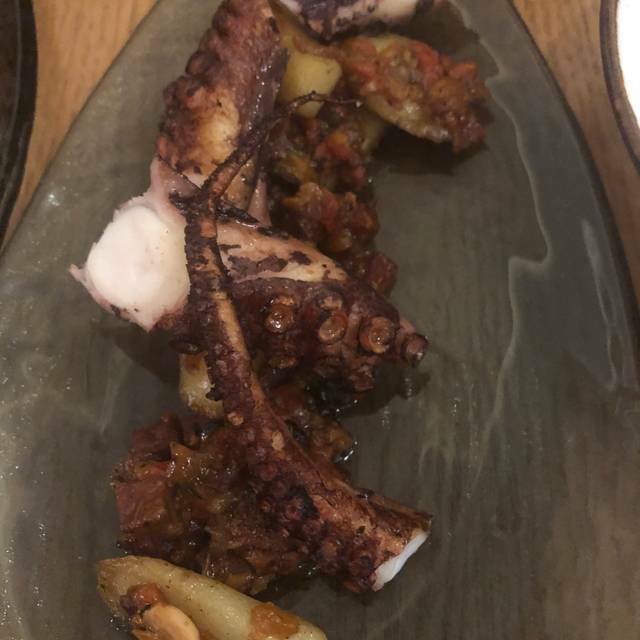 The fish and octopus were very good. The risotto was Okay. The waiter was professional but overwhelmed. You need more servers. It was a while before the main courses were served. Overall an improvement over the previous restaurant in that space. Enough menu selections, excellent service, high quality organic food. The tables are spaced so you don't feel on top of other diners around you. The temperature was too cool. I kept my outside clothes on. The food was well-prepared and quite tasty, but the portions were small. Service was quite slow. The ambiance was very pleasant. I had been here once before and would have given it 4 stars at that time. However, two of the dishes were just not good, at all. Stay away from the Tuna Tartare - bland with thin slices of raw tuna. I also recommend avoiding the Vegetable Tangine - spicy sauce over bland veggies without purpose - the flavor of hot sauce on a boiled potato. Not sure what is going on in the kitchen. The cod dish was decent. Appetizers (Mezes) were excellent. We shared a pasta dish -Anglo...? - and texture was good though filling a bit bland and way too much garlic, at least for us. Great food and even better service. The bar manager was so fun and an expert at recommending cocktails. Our waiter was really sweet, polite and efficient. Overall 10/10 date night experience. Thank you! Went in for the first time for a couple of their signature Greyhounds, and had a fabulous dinner. Their buttered hummus is divine, excellent wine selection, and superb service. We will be back! Space is quiet and nicely appointed; good for business lunches. Great atmosphere, great food. 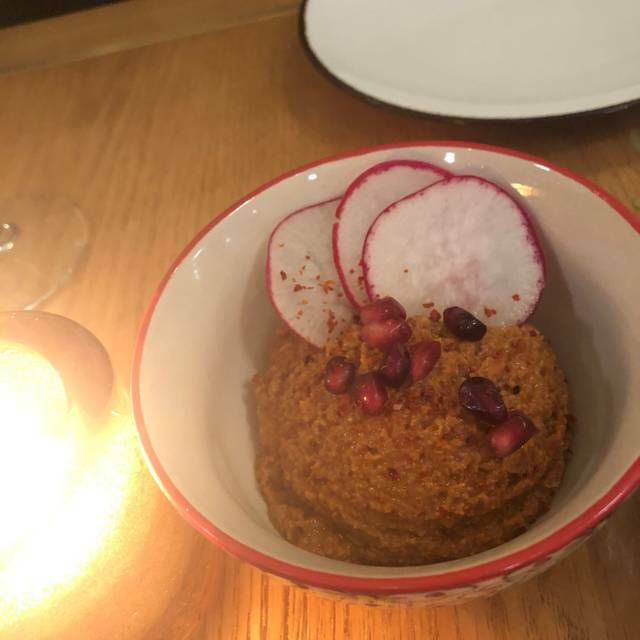 My only issue was that they were out of a number of items, including Chicken Tagine and Burrata (the two items we really wanted), seemed odd for 7:00 pm on a Monday night. Sunday dinner before Berkeley Rep performance. 5 of us arrived 30 minutes early in the hope of getting out early enough to make Berkeley Rep. The restaurant was able to seat us early. 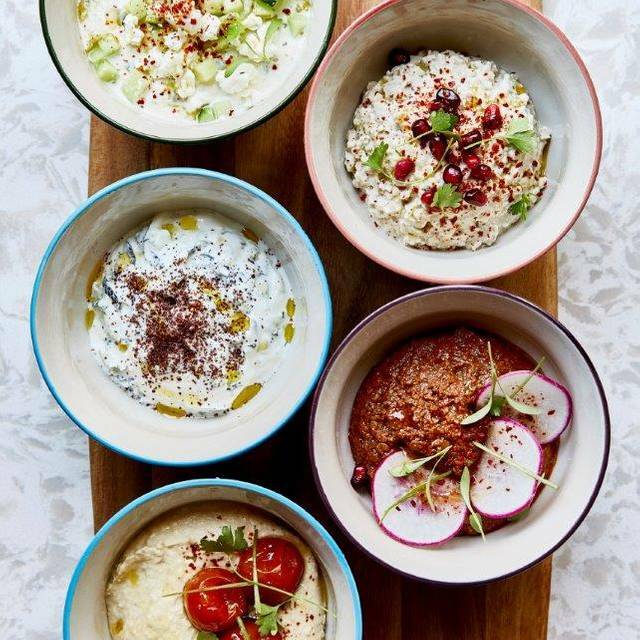 The appetizer of 3 dips - baba ganouche, moussaka, hummus with warm Pita bread at $18 was excellent and enough for the 5 of us. The minestrone soup $9 for a small cup was awful. It was chicken broth with bits of onion and prociutto. It did not resemble the rich bean based minestrone vegetable soup one would expect. The soup must have been sitting and cooking for days because the prociutto bits had dried up into tough rubbery tasteless nuggets that approximated grizzle. 2 people had a lamb main dish that they said was very good. 2 others had the Chicken Tagine which was served as whole chicken legs in a sauce. The sauce was fine but the leg meat was hard to get off the bone and dip in the sauce. Usually Tagine has chunks of thigh or even breast. Furthermore given that Tagine is a runny sauce it needs to be served with couscous or rice or warm pita bread. ZINO is relatively new and is evolving, we will wait a year to come back and try it again if they are still in business. So far it needs improvement to be recommended. We had a very nice dinner out before seeing a show at Berkeley Rep. The wait staff was friendly and attentive. We enjoyed our cocktails and pita bread with dip before the mains- steak and lamb. 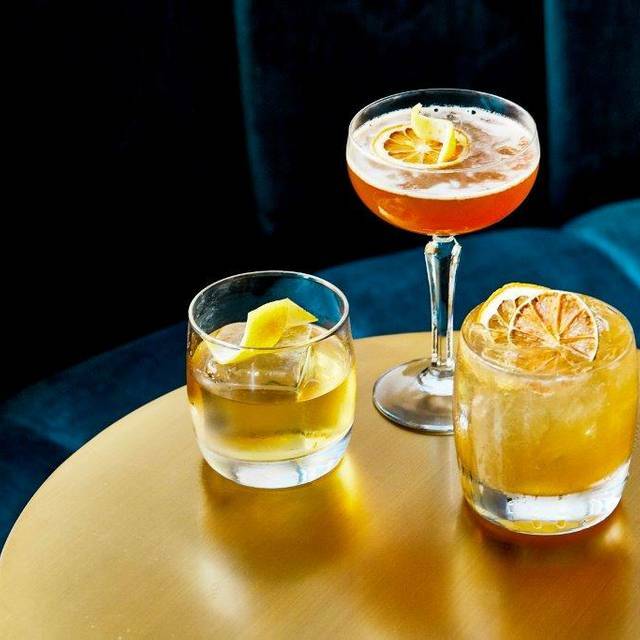 The good part: the very good service, both in the bar and in the dining room. The babaganoush was yummy. The bad: the main meal. The vegetables in the tagine were seriously undercooked. The chicken in the tagine was seriously overcooked. Neither the vegetable tagine nor the chicken tagine was warm upon arrival at the table. The vegetables were so undercooked as to be virtually inedible. Too bad, as we had enjoyed a prior meal there.